More than a recounting of historical facts, this unique biography delves into Biblical prophecies and their fulfillment, beginning with Genesis and ending with Revelation. It explains Anglo-Israel, the pyramid structure of prophetic literature in the Bible, the woman God-crowned and her mission, and traces the seed of the woman throughout Biblical generations. Both Jesus Christ’s and St. Paul’s lives are revealed in very unique chapters. Mary Baker Eddy’s life is intertwined with Biblical prophecies and her experiences are explained from the human (not mortal) perspective. 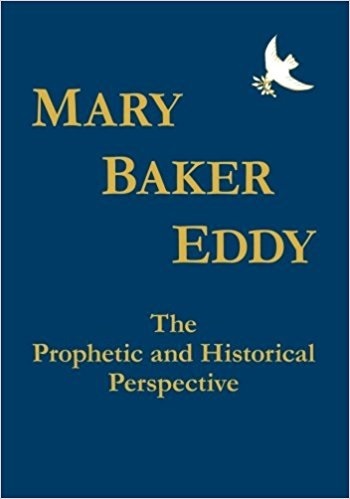 Read this book, Mary Baker Eddy – The Prophetic and Historical Perspective, and learn more about this most remarkable woman and how the world’s journey from Genesis to the present time relates to her, then read her book, Science and Health with Key to the Scriptures.